The Austin Forum on Technology & Society receives 100% of its funding from partners. Thanks to the generosity and partnership of the diverse set of leading Austin companies, the Austin Forum maintains a long tradition of presenting events that are free and open to all– in the heart of the most creative technology city in the world. Help us continue to connect, collaborate, and contribute on technology issues that matter to every member of our community. The Austin Forum on Technology & Society is a 501(c)3 organization. Partnerships are tax deductible. Agile Stacks provides DevOps automation platform for cloud infrastructure and machine learning. We help companies to accelerate software delivery and data science with composable, automated stacks. Agile Stacks Machine Learning Stack allows to automate the entire data science workflow, from data ingestion and preparation to deployment and ongoing operations. Arm defines the pervasive computing shaping today’s connected world. Realized in 100 billion silicon chips, our device architectures orchestrate the performance of the technology transforming our lives — from smartphones to supercomputers, from medical instruments to agricultural sensors, and from base stations to servers. The foundation of a global ecosystem of technology innovators, we empower the world’s most successful business and consumer brands. Every day our thousands of partners embed more than 45 million Arm-based chips in products that connect people, enhance the human experience, and make anything possible. Extensible, scalable, and ever evolving, it is a foundation that confirms how we lead by design — to serve today, anticipate tomorrow. Atchley & Associates, LLP (A&A) is an Austin-based full-service certified public accounting firm, offering services such as attestation, tax, accounting, business consulting, political campaign reporting and litigation support services. We serve clients in both the public and private sectors. Our commitment is to provide quality services to our existing clients and create opportunities for new clients. To gain a better understanding of the type of firm we are, we invite you to check out our website. You will see that in addition to being a professionally dedicated CPA firm, we also realize the importance of maintaining a balance in our lives. Austin Energy is the nation’s eighth largest publicly-owned electric utility and a department of the City of Austin. Our mission is to safely deliver clean, affordable, reliable energy and excellent customer service. Our utility provides electricity to more than 448,000 customers and a population of almost one million in the City of Austin, several neighboring cities, unincorporated areas of Travis County, and a portion of Williamson County. Austin Energy is recognized for achieving some of the highest performance standards in the industry. These standards include aggressive renewable and reliability goals and demonstrated efforts to promote new clean energy technologies and a sustainable environment. The City of Austin’s goals for use of renewable energy are some of the most aggressive in the United States. We are leading the effort to study the impact of electric vehicles on the electric system while promoting increased market share in the automotive industry. Austin Technology Council (ATC) is a non-profit organization made up of leaders and experts in Central Texas’s thriving tech community. We connect people and companies from across the technology landscape, providing access to knowledge, talent, capital, content, networking and market visibility necessary to the growth and sustainability of our member companies and the Austin tech ecosystem. 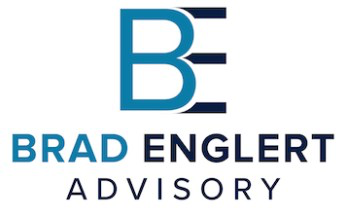 Brad Englert Advisory is a technology planning and consulting services firm that provides leadership for the continued development of innovative, robust, and secure information technology environment for institutions and organizations. Englert brings more than three decades of experience in governance and policy, resource allocation, and information technology protocols. Cesari & Reed is an Intellectual Property law studio where ideas are refined and innovations are protected with customized solutions. Their combined legal experience, coupled with their passion and creative approach, distinguishes them as an innovative law firm. They work together to guide, research, instruct, inform and strategize with their clients to provide a unique experience that is built upon the client’s business plan and goals. They treat their clients, micro, small and large, equally. They know time is critical, budgets are at stake, and innovation is dependent upon the creative approach they take to secure IP protection. Their personal connection to their clients and ideas allows them to move innovation forward by informing, elevating, and adding value. They’re champions of ideas and treat their client’s dollar like their own. For them, it’s a creative approach (like innovation itself) and the ability to shift, strategize and solve problems that distinguishes them from others. They engage their clients with a high level of experience and know-how, which translates to a quality product, no surprises and time savings, all at a known cost before the work is started. CognitiveScale builds industry-specific augmented intelligence software for financial services, healthcare, and digital commerce markets. Built on its Cortex5 augmented intelligence platform, the company’s products help enterprises leverage AI and Blockchain technology to increase user engagement, improve decision-making, and deploy self-learning and self-assuring business processes. 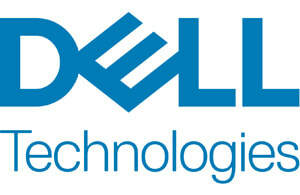 Dell Technologies supports industry, research, government and education with market-ready HPC solutions that enable more innovation and discovery. Our scalable, flexible solutions readily handle compute and data-intensive research workloads, helping drive faster breakthroughs. Every day, Dell is pairing technology with innovation to make a positive social and environmental impact – building a Legacy of Good. We are committed to putting our technology and expertise to work, where it can do the most good for people and the planet, making possible today what was impossible yesterday. Every team member at Dell shares this commitment because being a good company is the right thing to do, but it is also right for our business. We’re creating real value for our customers, employees, and partners while driving social and environmental good in the community. Double A combines experiential strategy with award winning execution. We leverage an extensive network of partners, brands, and technologists to create unforgettable experiences that tech-savvy millennials share with their friends by the millions. Galvanize is surrounded by world-renowned and locally-revered tech companies such as Google, IBM, and Dell on the bustling and diverse 2nd Street District. Situated in the heart of Downtown Austin along the banks of Lady Bird Lake, their front door sits among some of the best coffee shops, boutiques, and restaurants in the city. Their campus serves as a home base to start-ups and established companies building tech-enabled innovations and has all of the amenities of a co-working space - plus learning opportunities, resources, and access to the network a growing startup needs. Founded in 2012, HookBang was created to bring together an incredible team of experienced developers with one common goal: to solve difficult software problems we care about, with people we trust and respect. Hookbang has built a culture that pushes us to be our best, encourages a healthy work/life balance, and cultivates true accountability. This frees us to be efficient force multipliers, allowing us a velocity and agility most developers envy. NVIDIA’s invention of the GPU in 1999 sparked the growth of the PC gaming market, redefined modern computer graphics, and revolutionized parallel computing. More recently, GPU deep learning ignited modern AI — the next era of computing — with the GPU acting as the brain of computers, robots, and self-driving cars that can perceive and understand the world. SAIC is a premier technology integrator solving our nation's most complex modernization and readiness challenges across the defense, space, federal civilian, and intelligence markets. Our robust portfolio of offerings includes high-end solutions in systems engineering and integration, enterprise IT, including cloud services, cyber, software, advanced analytics and simulation, and training. With an intimate understanding of our customers' challenges and deep expertise in existing and emerging technologies, we integrate the best components from our own portfolio and our partner ecosystem to rapidly deliver innovative, effective, and efficient solutions. South By Southwest dedicates itself to helping creative people achieve their goals. Founded in 1987 in Austin, Texas, SXSW is best known for its conference and festivals that celebrate the convergence of the interactive, film, and music industries. The event, an essential destination for global professionals, features sessions, showcases, screenings, exhibitions, and a variety of networking opportunities. SXSW proves that the most unexpected discoveries happen when diverse topics and people come together. Vizias is a technology strategies & solutions company with an intense focus on advancing science and leveraging advanced computing and data techniques and solutions that impact and improve society. Our name comes from the Esperanto word for *envision. * (‘Esperanto’ itself means ‘one who hopes’.) We are a small team of experienced computing and communications experts that are passionately hopeful for a better world. We envision technology strategies & solutions to make it better—and then work with our network of partners and collaborators to design, develop, and deliver these solutions.